HomeNewsCommunity BuildingRegister now for the 28th International Conference on Spina Bifida and Hydrocephalus! 9 May 2018 // You can now register for the amazing opportunity to visit India and meet up with international Spina Bifida and Hydrocephalus researchers and healthcare professionals specializing in a wide range of medical disciplines and experts in the field of neural tube defects prevention. 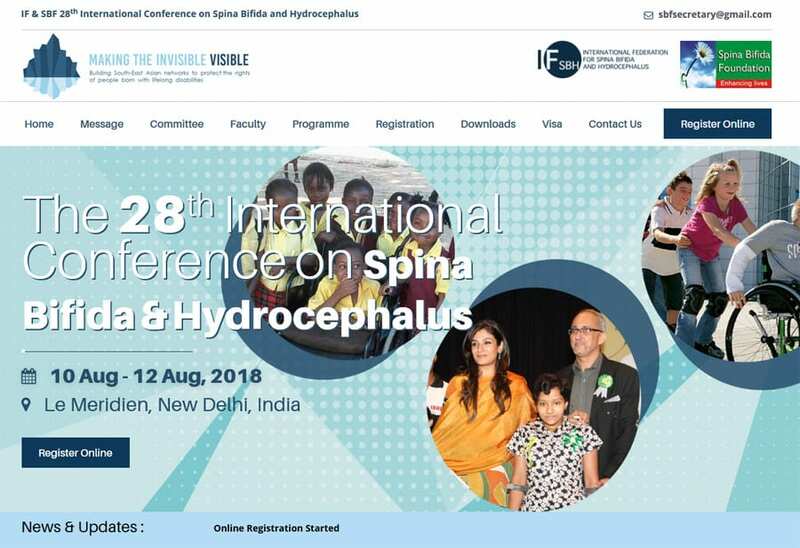 Join us in New Delhi, India, for the 28th International Conference on Spina Bifida and Hydrocephalus, Making the Invisible Visible, from August 10-12, 2018! Conference packages have been developed for families and for doctors, which include the registration fee, accommodation at the 5-star conference hotel Le Meridien, all meals, including the conference dinner, and all conference events. Visit the conference website for further details on the packages, the programme, speakers, and online registration. Don’t miss your chance to be a part of this exceptional event! Please note that only a limited number of packages for families are available with rooms at reduced rate at hotel Le Meridien. You could combine participating in the conference with a holiday in India. New Delhi offers a lot of beautiful sites to visit, or you could travel to Agra to see the Taj Mahal.